GRAVE BEFORE SHAVE Tequila Limon Blend Beard Oil 1oz. This product is also designed to condition the skin under your beard preventing dandruff and flaking to keep your beard life comfortable...the way it should be! G.B.S. 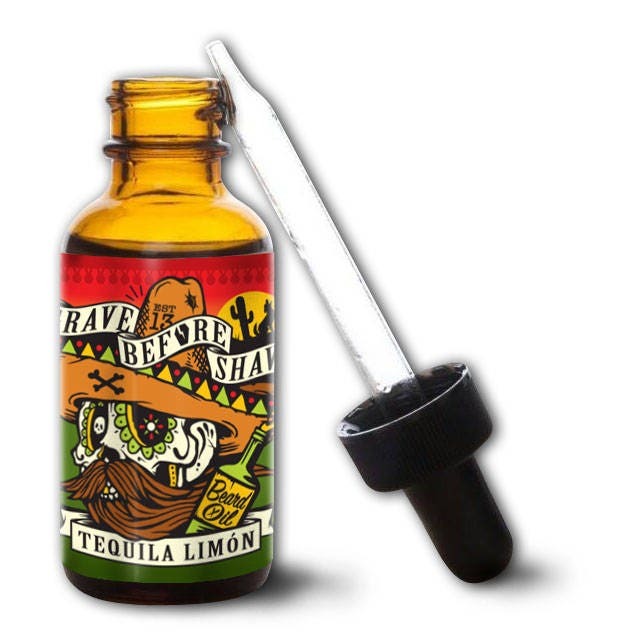 Tequila Limon Blend Beard Oil has a mouth watering Tequila aroma with Lemon Lime after notes. Its Party time!! SHOT SHOTS SHOTS SHOTS SHOTS SHOTS Everybody! Take a mental cruise through the Mexican riviera while keeping your Beard Hydrated, Healthy, and shiny!